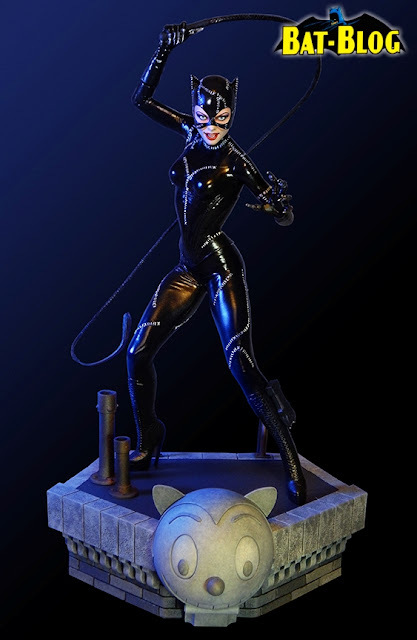 BAT - BLOG : BATMAN TOYS and COLLECTIBLES: Look at This New BATMAN RETURNS CATWOMAN MARQUETTE STATUE From Tweeterhead! Look at This New BATMAN RETURNS CATWOMAN MARQUETTE STATUE From Tweeterhead! 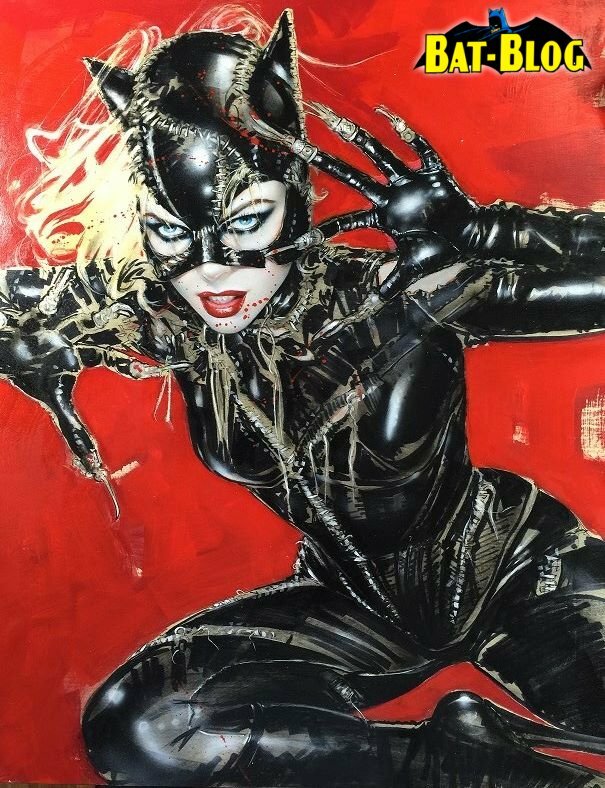 They have just released their 2015 BATMAN RETURNS Movie CATWOMAN MARQUETTE and LITHOGRAPH SET and it is totally amazing!! This new statue is 1/6th scale and measures about 15 1/2 inches tall on her base! 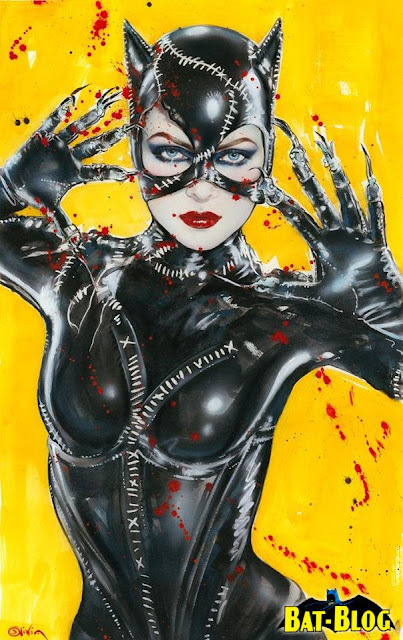 Also, if you order the Maquette through Tweeterhead, you will automatically receive a 9x12 “Catwoman Yellow” Lithograph ($100 Value) signed by the artist, Olivia De Beradinis. This lithograph is only available at Tweeterhead.com. The Tweeterhead Exclusive Catwoman Maquette will be a hand numbered limited edition and includes the “Yellow Catwoman” Lithograph for $269.99. For customers buying the Catwoman Maquette, you also have the opportunity to purchase the “Red Catwoman” Lithograph by Olivia De Beradinis. The lithograph comes in 3 sizes. These lithographs will be very limited and will come hand numbered, embossed and signed by Olivia. “Red” Extra Large: 30" x 40" $750.00 (Total with Maquette $1019.99).